C1386. 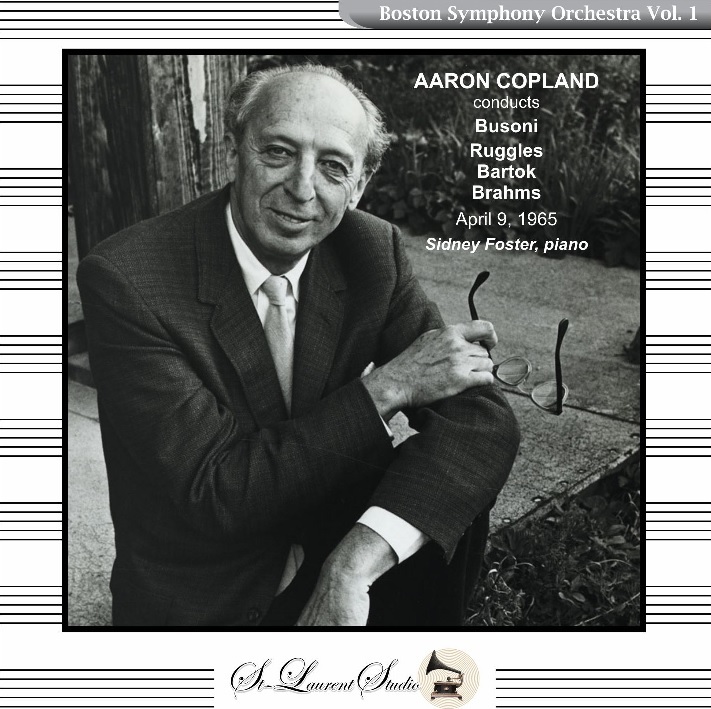 AARON COPLAND Cond. 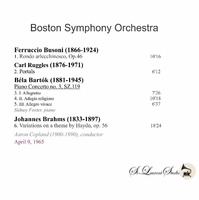 Boston S.O. 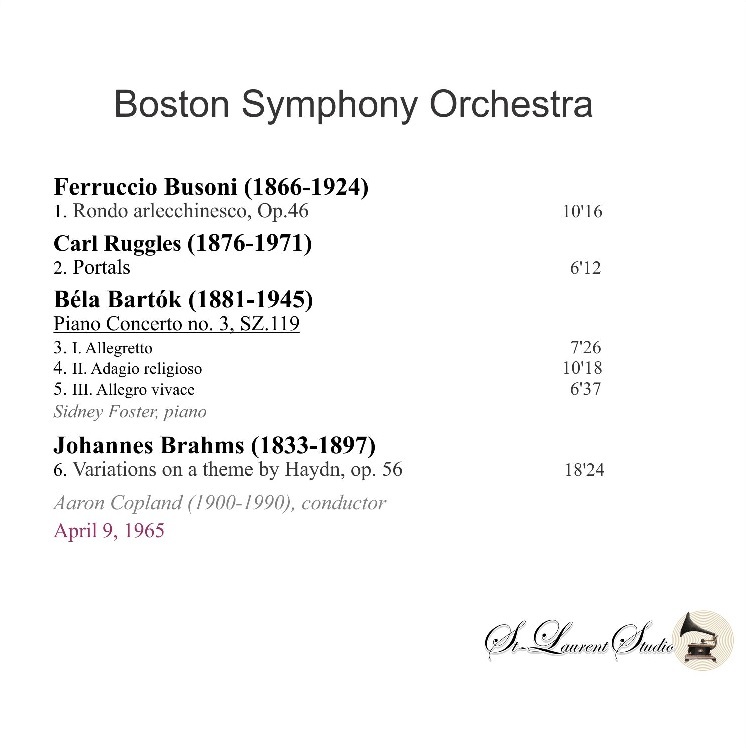 : Rondo arlecchinesco (Busoni); Portals (Ruggles; Variations on a theme by Haydn (Brahms); w.SIDNEY FOSTER: Piano Concerto #3 (Bartók). (Canada) St Laurent Studio YSL T-299, Live Performance, 9 April, 1965, Symphony Hall, Boston. [Never previously issued.] Transfers by Yves St Laurent.